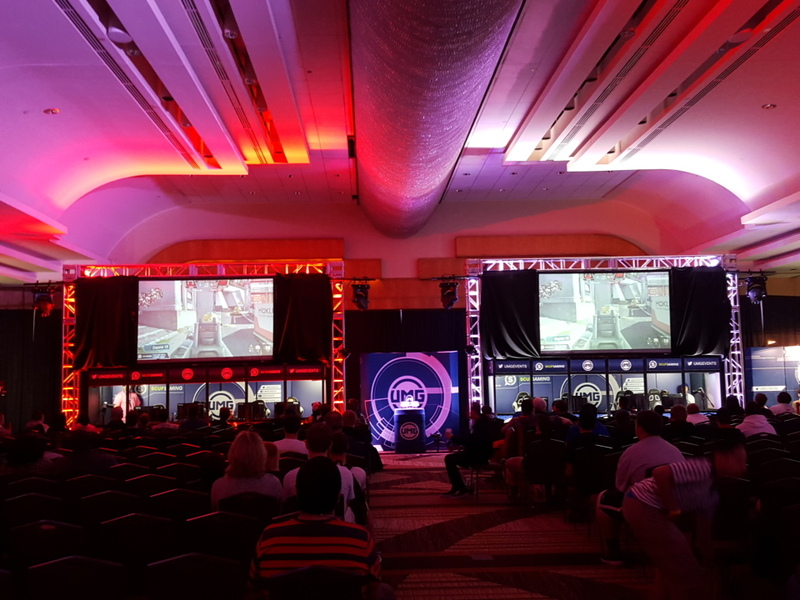 The $50,000 UMGDC Call of Duty Tournament: Awesome. | Community. Reviews. Pwnage. 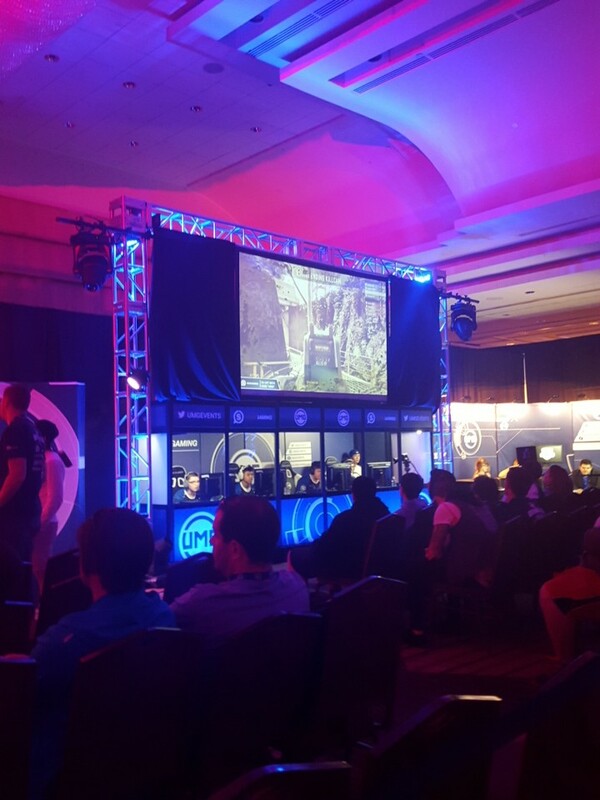 What does a Call of Duty tournament with a huge $50,000 prize pool look like? A hell of a lot of fun. From Friday through Sunday, buried down three flights of escalators in the basement of the Grand Hyatt Hotel in Washington D.C. warfare was brewing. Advanced Warfare. The top 16 ranked Call of Duty teams received invitations to participate by UMG and SCUF Gaming, including reigning champ Faze Clan, and countless other teams registered to battle each other Friday in the open brackets to earn one of only four entries into Saturday’s pool play against the World’s best. I arrived at the Grand Hyatt on Saturday morning shortly before 8:30am. With the tournament not scheduled to being again until 9am I had a chance to walk around the event room to see what UMGDC SCUF50K had to offer. Two things were quickly apparent. 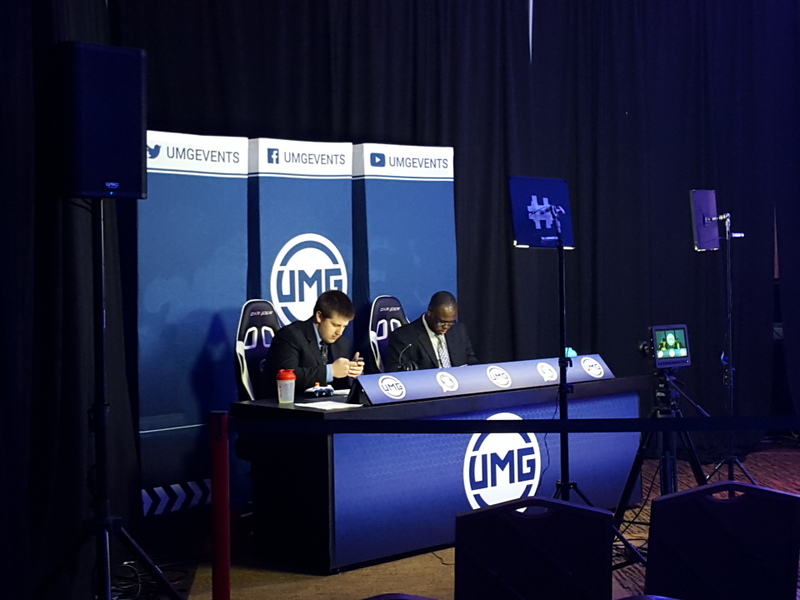 The first was that UMGDC was going to be a professionally run gaming tournament complete with a well orchestrated audience viewing area and mainstage, TV production quality announcers, and post-game interviews. The second was that you would have to be a FPS fan to enjoy yourself because there wasn’t much else to; there were very few merchandise booths, the lights were dim for gaming, and there were no other activities. I found a seat in the main viewing area and took in the atmosphere. 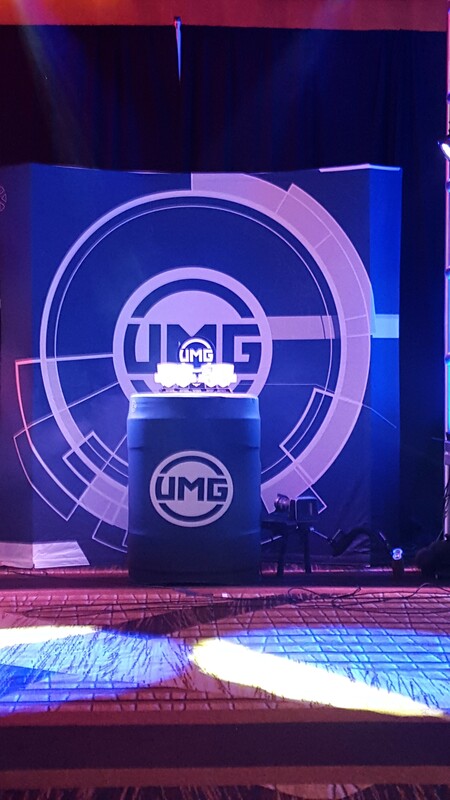 Centered in front was a large UMG display logo in front of which stood the Championship trophies. Flanked on either side were glass-enclosed sound-proof booths where teams would sit facing the audience while playing their match. Each booth had its own massive TV viewing screen projected at the audience enabling them to watch the gameplay. Topping things off was the well done lighting surrounding the booths and center display. I was immediately impressed. The announcer booth was set up to the far left, and the audience could clearly see them as they commented throughout the match. On the opposite side to the far right was a small stage setup with a couple of couches for post game interviews and other commentary. 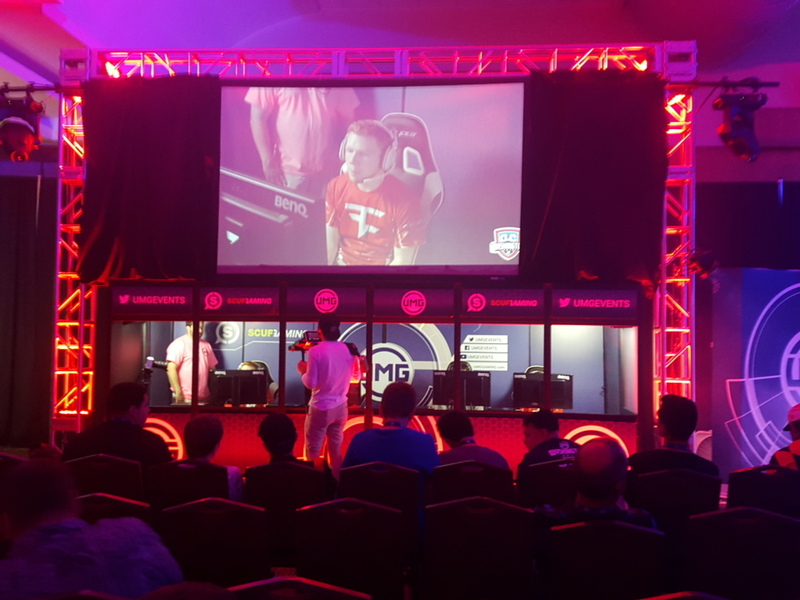 The morning mainstage match began with the remaining two open bracket teams, Team JusTus and 3sUp Enterprises, squaring off for the chance to join the top 16 pro teams in pool play. Team JusTus won the best of three matches 2-0 and advanced. 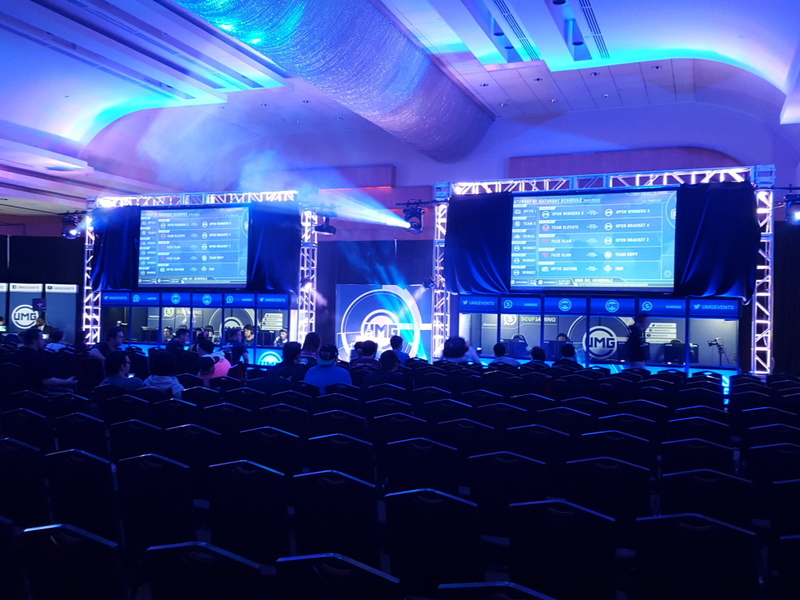 The next mainstage match marked the start of pool play, a round robin set of matches between the remaining 20 teams (16 invites and 4 open bracket winners). First up was Team eLevate against Lethal Gaming, with Team eLevate jumping out to a one game lead in the best of five series. Team eLevate took a quick lead in the second game but Lethal Gaming made a hard push to close the point gap refusing to go away without a fight. Team eLevate managed to hold off Lethal Gaming’s push and squeezed out a victory in game two. It then fully closed the door by winning game three and sweeping Lethal Gaming on their first encounter. My favorite match of the day came next. Reigning champions Faze Clan took the stage against Team JusTus that fought a tough road through the open brackets and earned a chance at the best. From the very start Team JusTus appeared set out to prove they belonged and jumped to a 35 point lead halfway through the first game. Showing why they’re champions Faze Clan calmly and quickly rallied back to take a four point lead with less than two and a half minutes to play. That lead wouldn’t hold for long, however, as Team JusTus was determined not be denied and took a 1-0 lead in a best of five series. Team JusTus’s excitement and confidence was apparent after the game one win as they stood up and high-fived each other. The celebration didn’t last long as game two was about to start and they took their seats to concentrate. Game two in a best of 10 rounds featured a tense back and forth exchange for the lead with Faze Clan drawing first blood. Team JusTus didn’t wilt or relent taking a 5-4 lead and closed out Faze Clan again, taking a commanding 2-0 lead in the best of five series. As game three began I’m sure some in the crowd were wondering what was wrong with Faze Clan and where in the heck did Team JusTus come from? As in game one, Team JusTus jumped out to a commanding lead in the first half, leaving Faze Clan quite a bit of work to do in a short time if they wanted to avoid a loss in the pool bracket. Faze Clan, once again demonstrating their poise didn’t panic and tied the game as the clock was ticking down. But Team JusTus would not be denied this series. They were determined. In the last second they managed to squeeze out another point and slammed the door on Faze Clan. The crowd and announcers roared with cheers applauding and somewhat amazed by Team JusTus’s last second entertaining finish. And so the long road of bracket pool play began. Unfortunately I was unable to stay and observe the rest of the tournament, but what I experienced was exactly what I was hoping for from an eSports event. UMG, won’t you please come back to DC soon? As for the overall tournament winner, OpTic Gaming took the grand prize on Sunday beating Denial. RedBull eSports has a good column on OpTic Gaming’s rise through the tournament and ultimate victory, you can read about it HERE. You can watch Team JusTus’s last second victory over Faze Clan (below) and other videos from the event on our YouTube channel and find all of our event photos HERE. 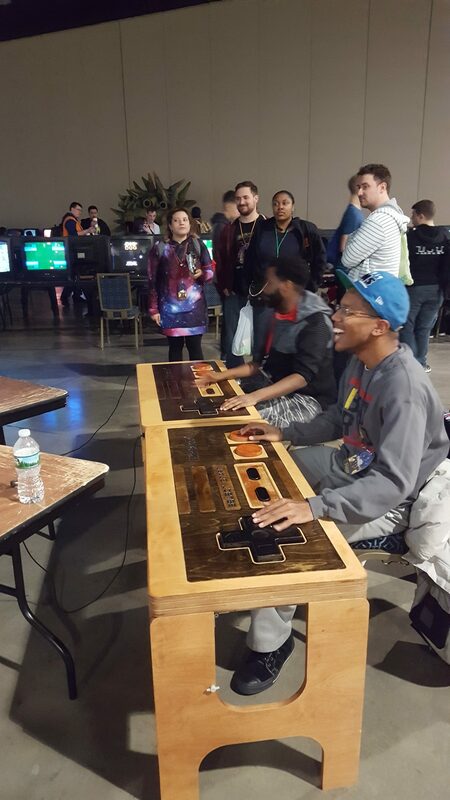 Also be sure to follow us on Twitter @DMVGamer and like us on Facebook for future event news.